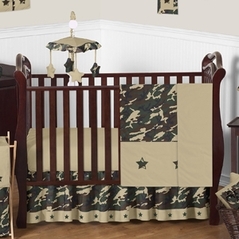 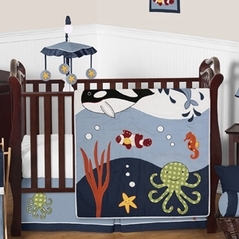 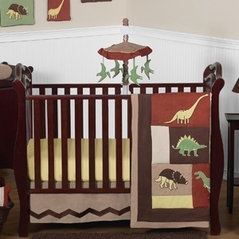 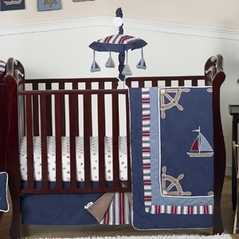 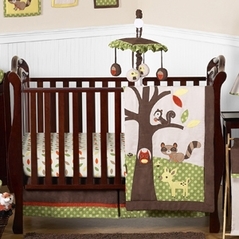 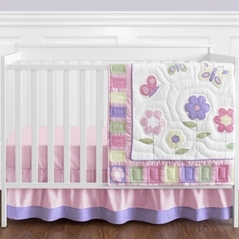 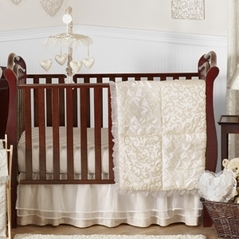 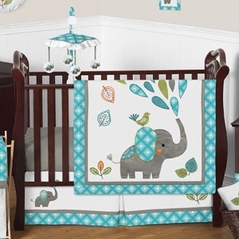 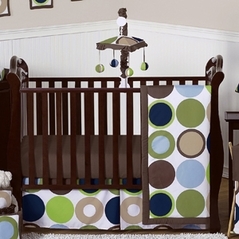 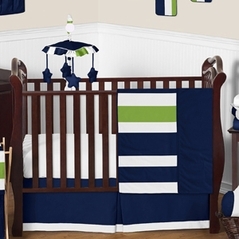 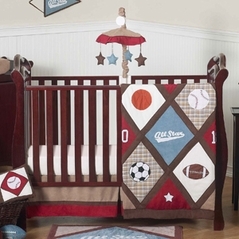 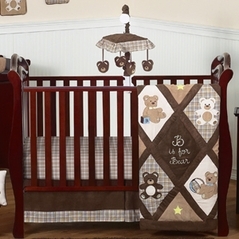 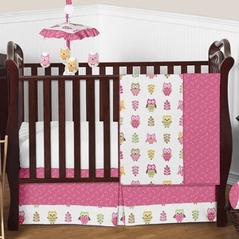 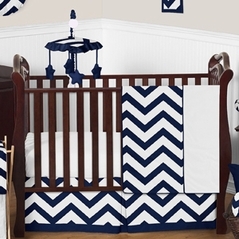 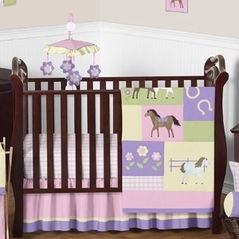 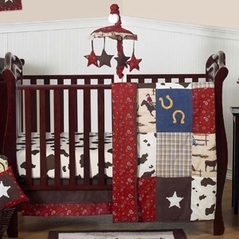 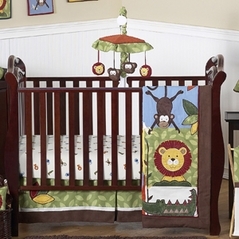 Crib bedding is an important part of any nursery. 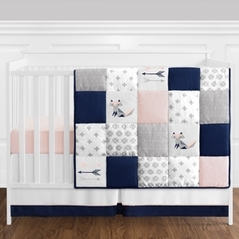 Our bumperless baby bedding collections offer parents a wide range of styles and designs even if they choose not to use bumpers in their baby's crib. 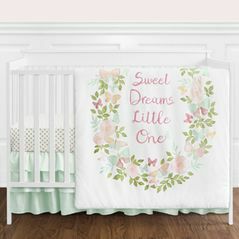 We have an incredible selection of infant bedding sets available in an 11 piece set including everything you need to decorate your nursery. 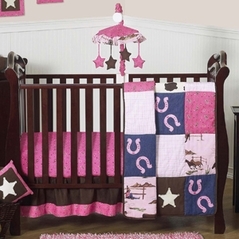 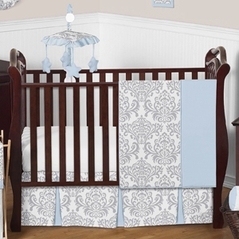 These sets include a comforter, fitted crib sheet, crib skirt, decorative throw pillow, diaper stacker, toy bag, a 3pc. 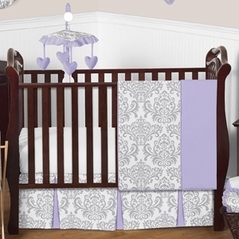 wall decor set, and 2 window valances. 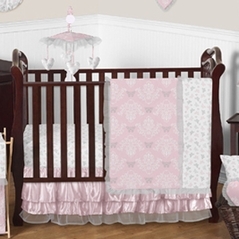 This complete set for your new baby girl or boy is such a great value! 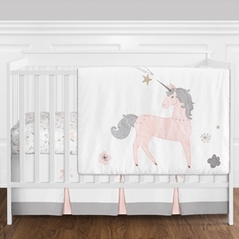 Buy with confidence, knowing not only are our nursery bedding items super soft and comfortable, but they are also manufactured with the highest safety standards in mind to keep your child safe and happy. 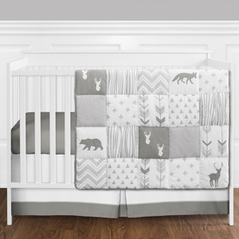 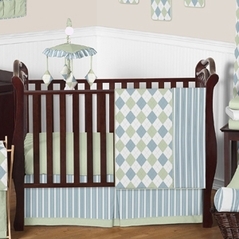 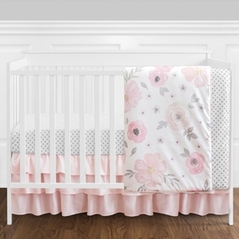 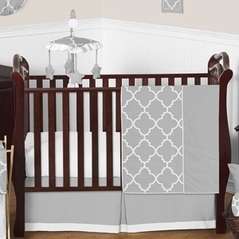 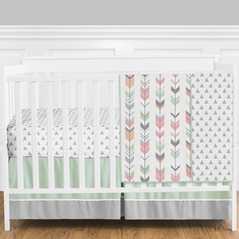 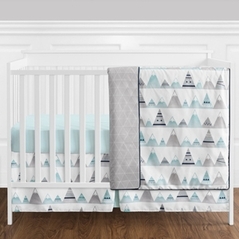 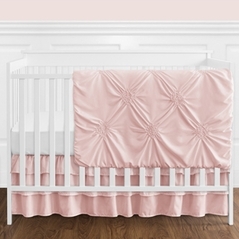 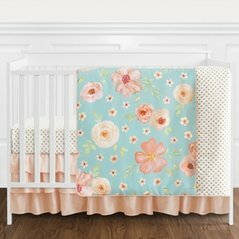 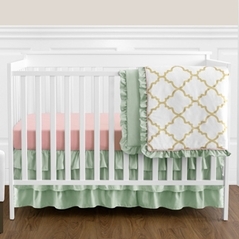 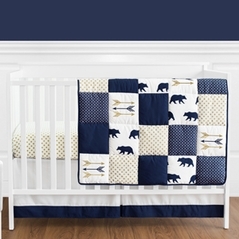 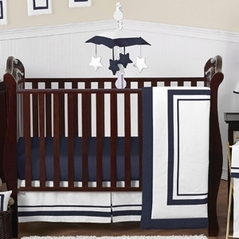 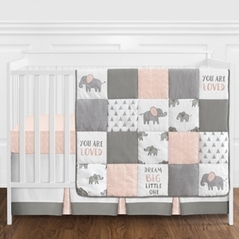 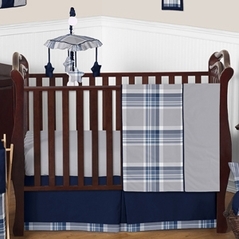 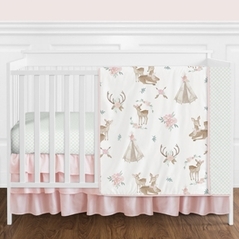 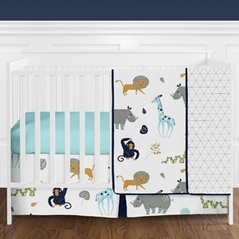 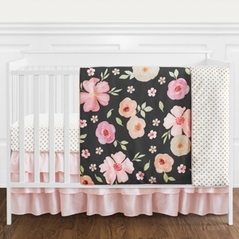 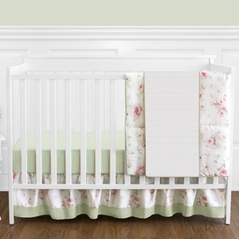 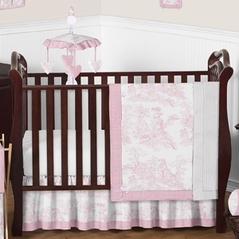 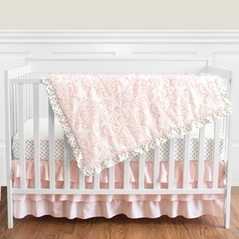 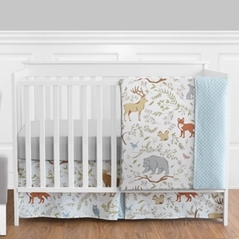 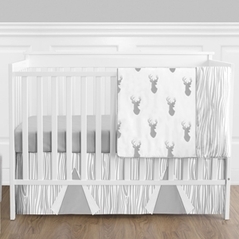 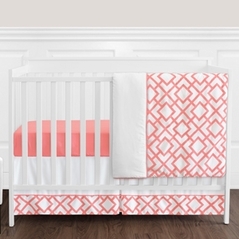 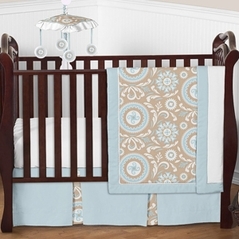 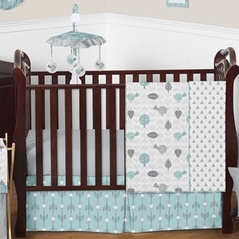 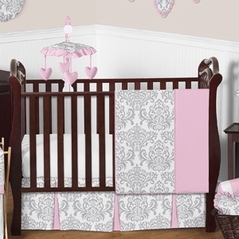 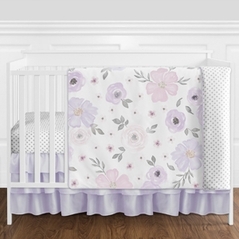 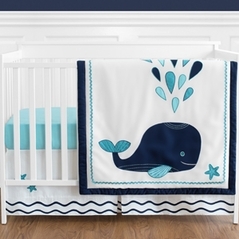 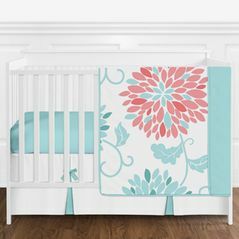 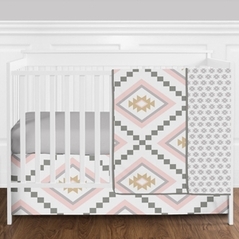 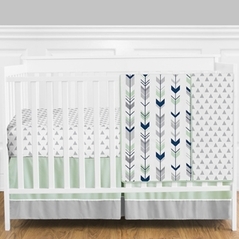 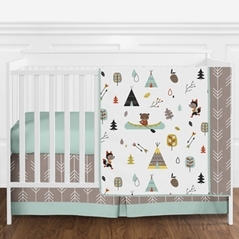 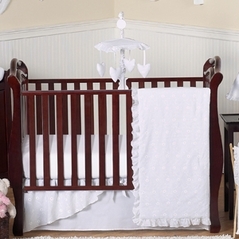 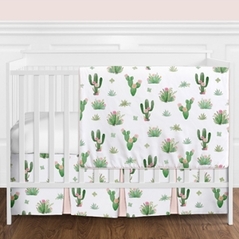 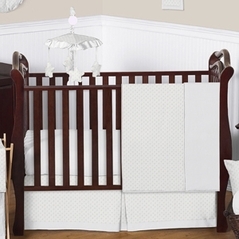 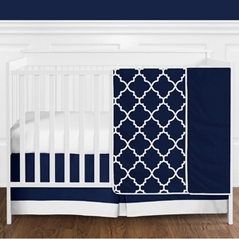 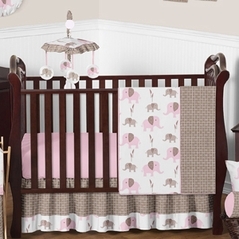 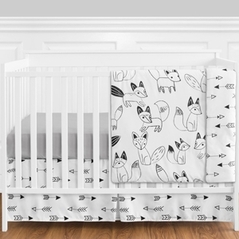 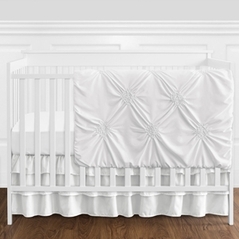 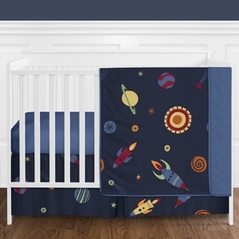 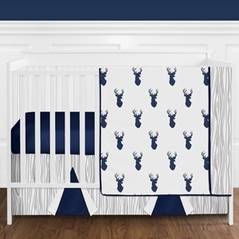 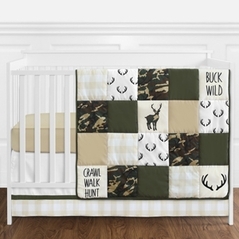 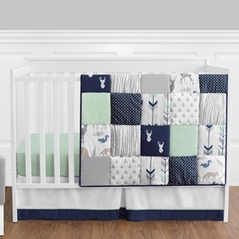 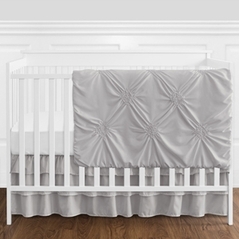 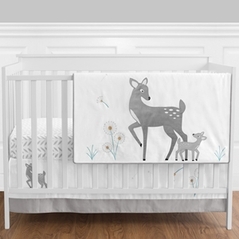 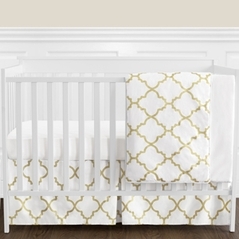 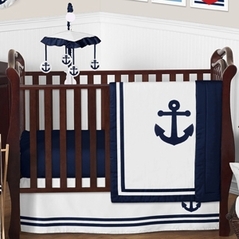 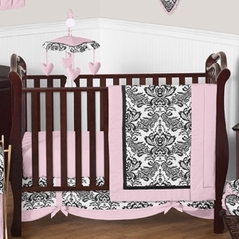 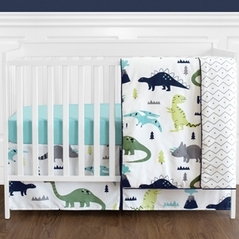 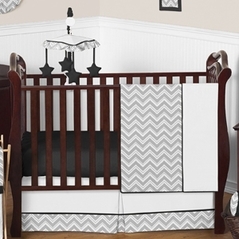 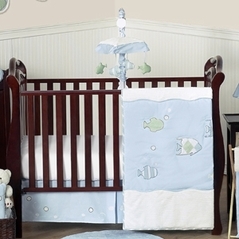 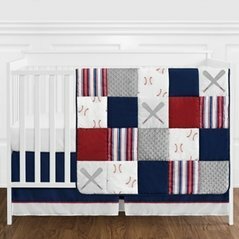 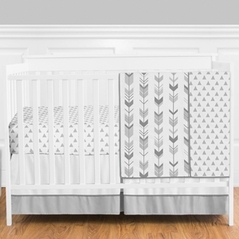 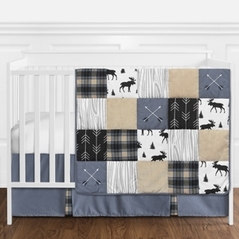 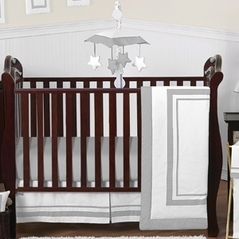 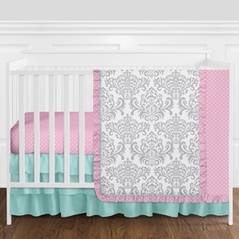 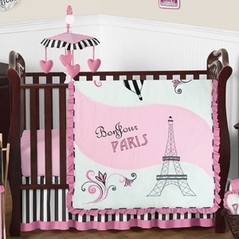 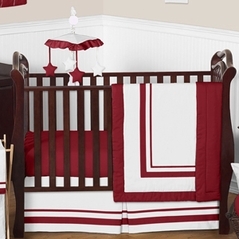 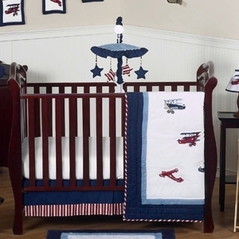 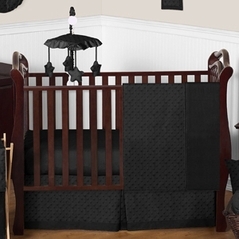 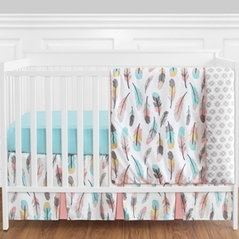 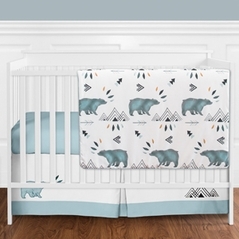 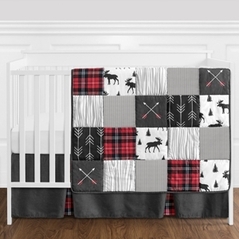 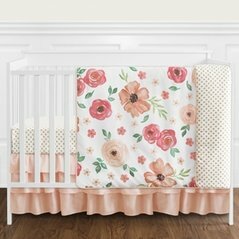 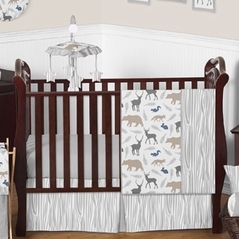 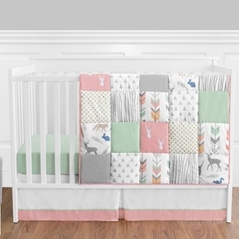 In addition, we also carry coordinating crib sheets, wall art, window curtain panels, crib rail guards, changing pad covers, and much more so you can easily complete the look of your nursery.